The best picture books are so dynamic, clever and engaging, the reader doesn't notice there's a powerful message shining through. 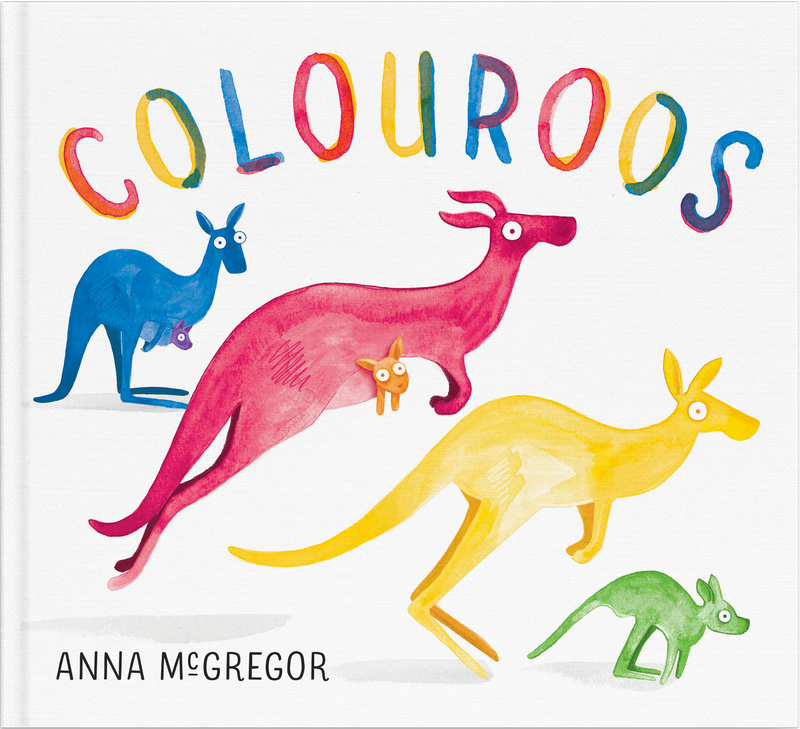 Author and illustrator Anna McGregor's stunning debut is just that. Bursting with colour, rhythm and fun, Colouroos is about three different mobs of kangaroos. The red, blue and yellow groups travel from different parts of the country and meet at the same watering hole. At first, they think the other groups look strange, but they soon discover they all have plenty in common. Before long, the groups have become one and a rainbow of colours appears. McGregor's inventive concept is beautifully executed with language as rich and colourful as her vibrant watercolour illustrations. She captures the essence and beauty of Australia in each colour, from the red country fire trucks and desert pea flowers of the country's centre to the yellow puffs of soft wattle and golden sand of Queensland's Gold Coast, through to the bluestone cottages and blue-gum forest of the NSW Blue Mountains. But the real spirit of Australia that is celebrated in this book is its diversity — the glorious multiculturalism that makes our nation shine. And that makes this book a must for every home and classroom.